INTRODUCTION: WHAT IS “DUE DILIGENCE”? Buyers and sellers of commercial real estate know that due diligence is important. For various reasons, however, buyers sometimes cut corners and sellers try to rush the process. Buyers are sometimes so emotionally invested in buying what they believe in their gut to be a great property that they don’t do the due diligence that is essential to ensure they get what they pay for. The ultimate purpose of due diligence is to enable the buyer to discover as much as possible about the property before he or she is obligated to buy it. This includes discovering information that the seller may not want the buyer to know or perhaps information of which the seller isn’t even aware. The buyer should prepare a thorough due diligence checklist and should present it to the seller early in the negotiations of the deal. First-time sellers or those who are not very experienced in commercial deals may find the checklist daunting. Occasionally, a seller will be insulted. But it is better for the buyer to be up-front with the seller about the level of due diligence he expects, rather than surprise the seller with the level of due diligence after signing the P&S. Thorough due diligence requires the investigation of three broad categories: financial due diligence, physical due diligence and legal due diligence. Think of each category as one leg of a three-legged stool. If one leg is weak, the stool will fall down. We will discuss each of these three aspects of due diligence in turn. How much income is the property currently producing (what is the property’s “Net Operating Income” or “NOI”)? How much income will it produce when I am running it? To answer the first question, the buyer must gain an accurate understanding of the property’s financials as they currently exist and as they have existed in the near past. There are two “sides” to the financial due diligence “coin”: the income side and the expense side. First, let’s take a look at the income side. A Seller will usually provide so-called “pro forma” financials with the listing package. These pro forma financial statements are not the actual financial statements of the property. By way of illustration, a pro forma statement might list “gross potential income,” which assumes that 100% of the units are rented and that the rent is collected on time 100% of the time. Sometimes the pro forma income shown is reduced by a vacancy factor that may or may not correspond to the actual historical performance. Thus, a pro forma statement may present a much rosier income picture than the reality. The buyer should insist upon obtaining the actual financial data of the property going back at least three (3) years. A shorter period may fail to disclose problems that are not entirely resolved. The buyer should also request the tax returns for the entity that owns the property. The buyer can use the tax returns to verify the internal financials. Buyers can safely assume that expenses will not be understated on a tax return. As for the income, if there are significant discrepancies in the reported taxable income on the tax returns and those reported in the internal financials, the buyer should be concerned. Whenever possible, the buyer should request and review each and every lease relating to the property. The buyer needs to identify the termination dates of the various leases and assess the risk that one or more tenants will vacate at the end of their lease term. The buyer should also note any discrepancies, concessions, or landlord obligations to make improvements or renovations. If the seller has not met the concession or made the required renovations, the buyer will assume those obligations and the buyer must factor those costs into its own operating projections. A rent roll is another key piece of data for the buyer. A rent roll report typically shows the unit number, the tenant name, the rent amount, any past due balance, and the lease expiration date. The buyer should request not only a current rent roll, but past years’ rent rolls, if available. Comparing past years’ rent rolls enables the buyer to determine tenant turnover and to identify possible collection problems. Beware if the current rent toll contains a number of recent tenants. Sellers sometimes will fill a property with low quality tenants to boost the occupancy rate prior to marketing the property for sale. In multi-unit residential buildings, tenant files can reveal the most critical information. These files usually contain tenant applications, credit reports, references, and information about personal guarantees. Incomplete files and files with no credit reports should also be of concern to the buyer, reflecting a likelihood of sub-par tenants. The “expense side” of financial due diligence is equally important. A thorough understanding of the property’s operating expenses is essential to develop a baseline for the buyer’s projections for its first year of ownership. Digging into the expenses relating to a property may also point out issues that the buyer will want to further explore in the legal/physical due diligence phase. One of the largest line-item expenses in commercial properties, particularly multi-unit residential properties, is often the utility bill. The buyer should request at least two years of the actual utility bills to determine both the cost and the usage. If the seller doesn’t have this information, the buyer can usually get it directly from the utility providers, with the seller’s authorization. Sometimes a seller will provide just the annual number. It is important to look at the actual bills to get an idea of the seasonality of usage, which is obscured in an annual number. Similarly, the annual number only tells the buyer the cost. The only way to determine the actual consumption is to track the usage (gallons, kilowatts, etc.) on a per-occupied unit (for multi-family) or per square foot (for office and retail) basis, using the actual bills to match cost and usage. 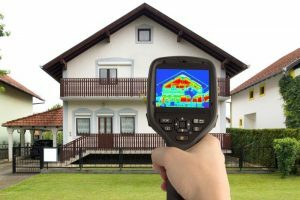 This can identify seasonal spikes in usage and can even uncover abnormal conditions, such as gas leaks or water leaks. Property taxes are also a significant expense item. This information can be obtained directly from the municipality or the county, and is usually available online. The title report (discussed in the legal due diligence section) will show whether the taxes are delinquent. If so, this is good information for the buyer, as it indicates the seller may be under financial stress and is therefore motivated to sell. It is important to determine whether there are any special tax reductions or tax breaks that apply to the seller but which may expire or which may not be applicable to the seller. It is also useful to compare the assessed value to other similar properties in the same market. If the assessed value of the subject property is out of line compared to similar properties, a tax abatement could be possible. Finally, the buyer must inquire whether the sale transaction will result in a revaluation and when. The buyer should request copies of the seller’s current insurance policies. The basic information in the seller’s policies can be used by the buyer to obtain price quotes from insurance agencies. Getting the actual policies enables the buyer to compare the cost on the operating statements to the actual premium on the policy. The buyer should ask the seller if it has any risk assessments prepared by insurers. A risk assessment is a report prepared by the insurer to notify the owner of any problems in the property that must be corrected to maintain coverage. As such, the risk assessment may disclose physical problems with the property. Physical due diligence is concerned with the structure of the building itself and the physical features of the land and surroundings. Most of the time, the physical due diligence is performed by third parties on behalf of the buyer. Standard third-party reports required by lenders and buyers are the appraisal, environmental investigation, zoning compliance, and building/engineering reports. Buyers usually hold off on ordering these reports until the financial due diligence has been completed and found to be acceptable. These third party reports are not cheap, so it does not make sense for the buyer to incur the expense if the financial due diligence reveals problems. Phase I Environmental Reports are the minimum standard for most lenders. Based on the findings, a conclusion will indicate whether or not any further environmental investigation is needed. For a site with suspected contamination, we recommend a Phase II investigation. A site with confirmed contamination from a prior user, or with an environmental risk identified in a Phase II report, will require a Phase III environmental investigation, remediation, and ongoing monitoring. When acquiring a site with ongoing remediation, a buyer should engage a qualified environmental lawyer who can assess the situation and render appropriate advice concerning the risks involved. Buyers need to keep in mind that environmental reports prepared for the seller will not offer any legal protection to the buyer. Those reports clearly state that they are for the use of the original parties and cannot be relied upon by others. Therefore, such reports cannot be used by the buyer to establish that he or she performed proper environmental due diligence to avoid liability for any problems found after closing, even if the environmental issues are pre-existing. The buyer should also research the zoning requirements of the site at the planning department in the city/municipality or the county in which the property is located. The current zoning compliance can usually be verified with a phone call. The buyer’s lawyer can do this or the buyer can do it personally. The buyer should NOT rely upon the seller’s statement that the property is in compliance with zoning. If the buyer is planning to make any changes to the property, then it is important to review the zoning regulations for the zone in which the property is located. The buyer needs to be aware of maximum density requirements, development standards, and other information that may indicate the property can be expanded or that it may or may not be eligible for a change of use. The buyer should consult his or her lawyer if there are any questions about the current zoning status or the ability of the buyer to make changes after the purchase. The Building/Engineering investigation is the commercial property equivalent of the home inspection in a residential deal. The engineer will test the all of the property’s systems – HVAC, electrical, fire suppression, etc. The engineer will also evaluate structural components, such as the roof and building envelope, and will note any deferred maintenance problems. These engineering reports are extremely valuable to the buyer and should be reviewed very carefully. The most important aspect of legal due diligence is the title examination. If the seller supplies an existing title policy, the buyer can order an update from the existing policy. 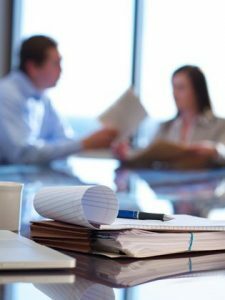 The title insurance company will initially provide a “commitment” to issue a title policy, sometimes called the “title binder.” The buyer and his or her attorney need to carefully review the title binder. After certain conditions are met at the closing, the title company will issue the actual title policy. Schedule A of the title binder is similar to the “declarations page” of a standard property and casualty insurance policy. It sets forth the date of issuance, the amount of insurance, the name of the insured, the legal description of the land covered by the policy and the estate insured (usually this is “fee simple,” but a leasehold interest can also be insured by a title policy). The legal description is the literal description of where the property is located and the boundaries of the property in relation to the nearby streets and other properties. In the case of a condominium, the legal description will include the interest in any common areas, exclusive or non-exclusive easements, and details on any parking or storage that will be conveyed with the property. The buyer’s attorney should always compare the legal description on Schedule A with the legal description in the deed to be sure they match exactly. If they do not, further investigation is necessary to determine which legal description is correct. The Instrument(s) creating the estate or interest to be insured [i.e., the deed] must be approved, executed, delivered and filed for record. By listing various items as exceptions, the title company is telling the insured buyer that these items are not covered by the title policy, and that the title company will not pay a claim or defend against a claim based on these excepted items. Certain exceptions can be removed. For example, the mechanics’ and materialmen’s lien exception refers to liens of a builder or contractor who performs work on the property and has not been paid by the owner. Many title companies will remove this exception upon receipt of an affidavit from the owner or estoppels from the various contractors. In the due diligence context, Schedule B-2 provides the buyer with a list of title issues that must be resolved prior to the purchase or they will be issues that the buyer will inherit upon taking ownership. Another key part of legal due diligence is the survey. The buyer or the buyer’s attorney needs to review the survey in conjunction with the title insurance commitment. The attorney should match the legal description in the proposed deed and in Schedule A to the title commitment to the actual representation of the land on the survey plan. If the legal description uses metes and bounds, the lawyer must find the beginning point on the plan and follow the metes and bounds descriptions to ensure that they match and to ensure that the legal description “closes” (i.e., that there are no gaps in the description). The survey legend will identify the symbols that are used to describe boundary markers, walls, streets, vegetation, etc. The buyer’s attorney must carefully examine the “Notes” section of the survey. The Notes describe the source of the title and will identify key issues applicable to the land, such as easements, rights-of-way and other rights of third parties with respect to the land. The attorney should locate on the survey plan all of the improvements, such as the buildings, parking areas, and drainage areas located on the land in question as well as such improvements on adjoining land. The attorney should look out for possible encroachments by adjoining landowners on the property in question. All of these issues need to identified and, if necessary, addressed with the seller prior to closing. The level of due diligence will vary with the value of the project. The more money is at stake, the more thorough the due diligence should be. When thinking about due diligence it is useful to remember what President Ronald Reagan said in connection with the Intermediate Nuclear Forces Treaty he had negotiated with Soviet Premier Mikhail Gorbachev. After describing the extensive verification procedures that would enable both sides to monitor compliance with the treaty, Reagan summed up by saying the US would “trust, but verify.” In the commercial real estate context, the buyer should trust the seller, but the buyer would be foolish not to verify. The lawyers at Wetherington Hamilton are experienced in commercial real estate transactions. If you have questions about commercial real estate, please give us a call at 813-676-9075 or email the author at MattL@whhlaw.com. Previous PostWho Should I Appoint Personal Representative, or Trustee, of My Estate?